Ali Sepu has been involved with Nomadic Massive since its inception. His guitar loops formed the foundation of the early sound which eventually evolved into the live band experience. 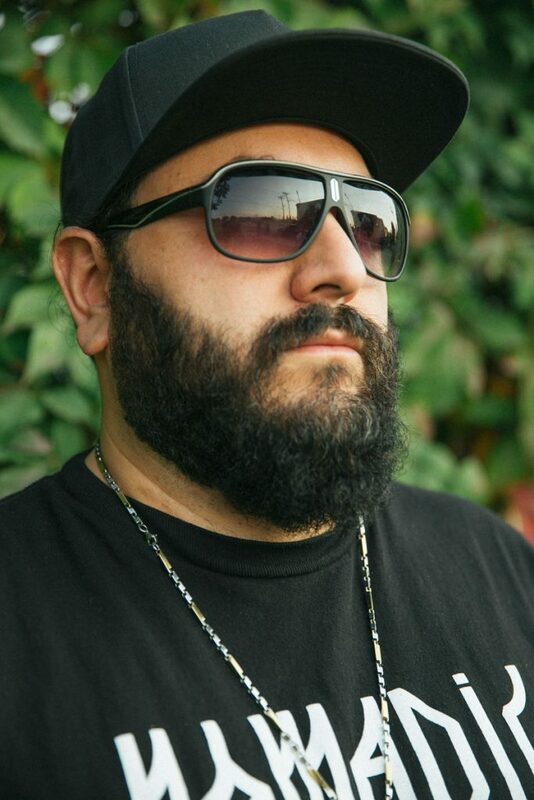 While touring with Nomadic Massive he completed a Master’s Degree in Education as well as a PhD in Philosophy. These years of study informed his approach to working with youth in Montreal and abroad. He has been invited to speak at Queens on the subject of racialization. He has conducted teacher training seminars at McGill. All of this while teaching high school and raising a family. Musically, he focuses his attention on things that flow from the cultural experience and the exchange made possible by Hip Hop culture. Amalgamating the theoretical world with the lived experience is the challenge for me. I strive to strike a balance because either can pull you in and make you delusional.